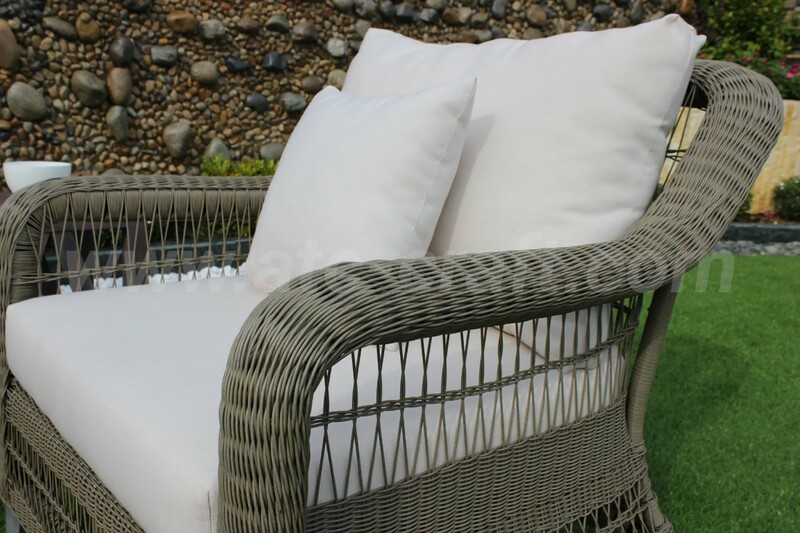 Bring your porch to a whole new level with this Elegance Outdoor Poly Rattan Wicker Sofa Set Rasf-121, so that making first impression to your guesses has just become easier than ever before. 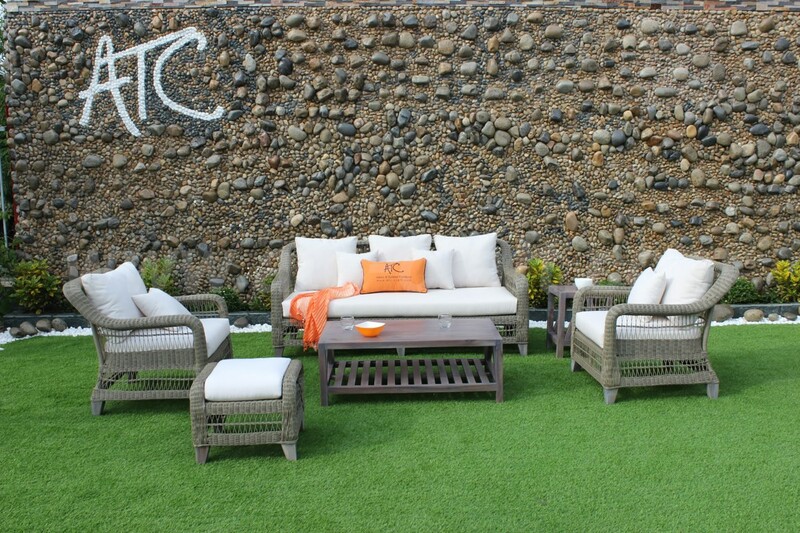 The patio furniture is fully equipped with six essential pieces to guaranteed modernize your outdoor space. With special complicated weaving technique, the rattan resin wicker sofas will surely exaggerate the uniqueness of your architecture scenery. Furthermore, they are made up with High-density polyethylene (HDPE), a light material which has less branching and a strong molecular bonding force to support heavy weight without any damage to the product. Next, is the powder coated aluminum frame with wooden base legs to add more quality and luxurious to this classy collection. Beside, the seating and supporting back cushions and decoration pillows are covered with weather resistant cloth, easy to clean with no watery, clingy dust, color fading or tearing. 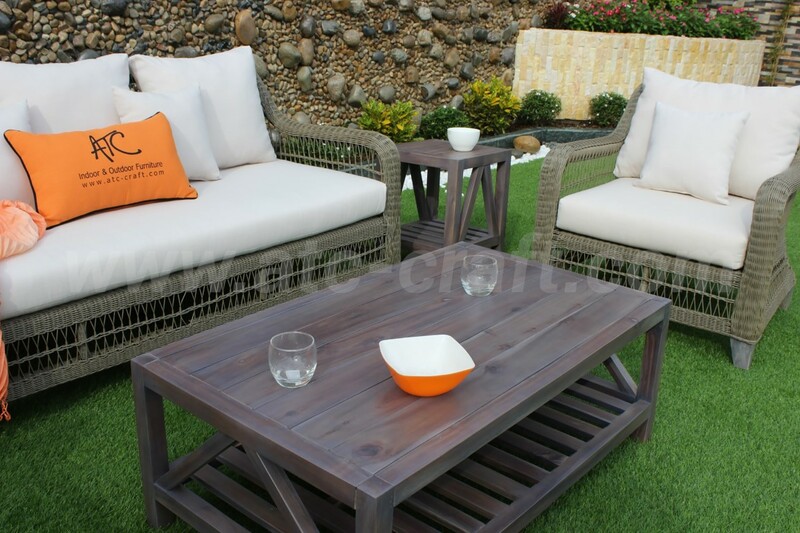 Lastly, the final items of the set are the specialized outdoor acacia wooden tables to stand against time and space. 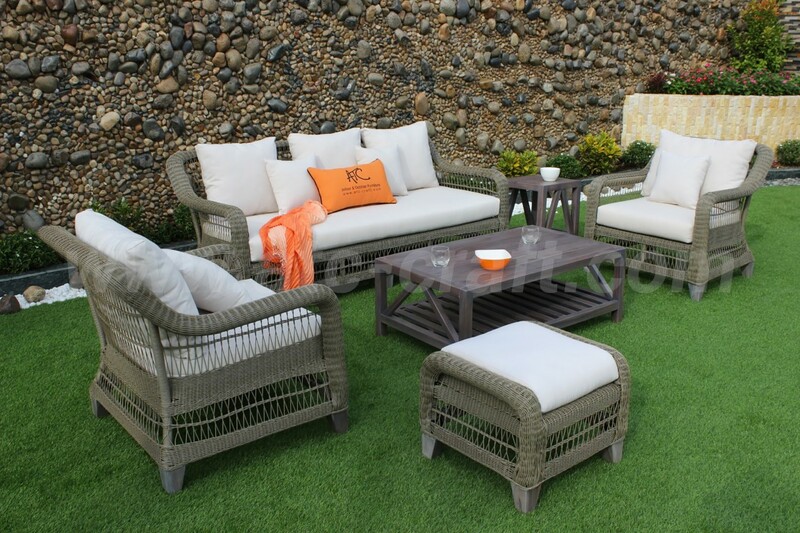 •All-weather materials: Round HDPE wicker, Aluminum frame, water resistant fabric 250g, Acacia Wooden tables and legs, 10cm thickness cushions. •Pieces included: 2 single sofas, 1 triple sofa, 1 wooden table, 1 wooden side table, 1 ottoman. 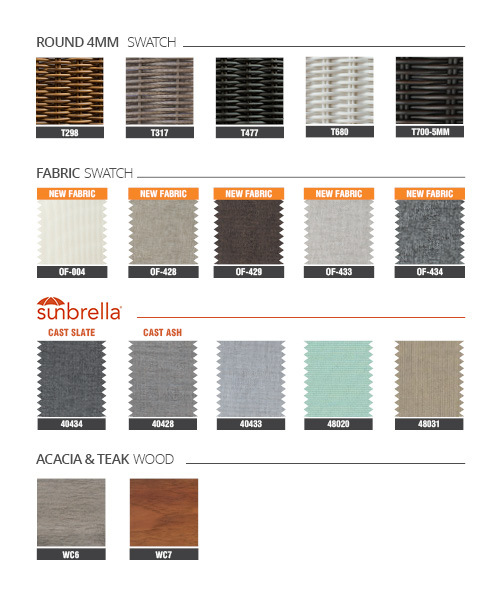 •Durability: water resistant, UV sunlight protected, weather resistant.